1999 Fisher 241 Freedom, 1999 Fisher four stoke pontoon in great condition. $11900 with a warranty included. 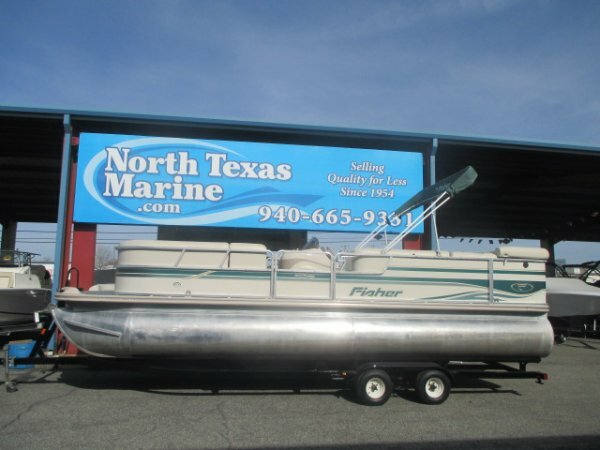 2004 FISHER 241 FREEDOM DELUXE, For the budget minded family, this Fisher Deluxe 241, offers a lot of bang for the buck. At over 24 ft. in length, there is plenty of room to stretch out and it makes for a smooth ride to boot. There's room for 13 onboard, so bring the whole tribe. Starboard of the engine bay is a generous sized flip-up changing/port-a-potty room. The engine is a 3.0 Mercury with 135 HP fed by a 30 gallon fuel tank. This makes for an economical power plant that will happily pull the kids around on the floaty toy of their choice. The 10ft. bimini keeps things comfortable on deck and the mooring cover keeps things clean between cruises. 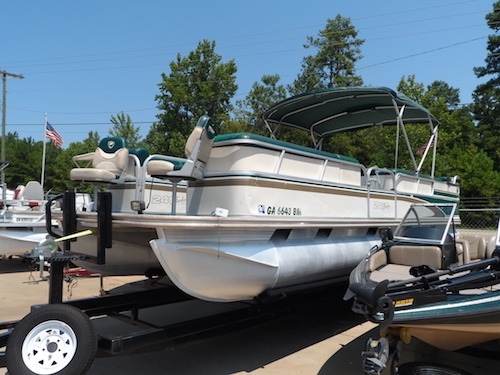 At the helm, any Captain would be happy to pilot this great boat to local cove with an extra wide Captain's chair, full-gauge package, a Clarion AM/FM/CD player and there's even a fishfinder. Once you've found your spot, the included ladder can be deployed to port or starboard, depending on what works for the current situation. We've taken the time to check this boat out stem to stern and she is lake ready when you are. The trailer you see here is included. Don't wait! !